Liquid edge past TSM with the first win of the new rivalry. TSM carried on their tradition of losing the opening game of the split today, giving Yiliang “Doublelift” Peng a taste of revenge in Team Liquid’s victory over the former North American champions. As fans have waited for the new NA LCS season to start, the two teams predicted to compete at the top were both Liquid and TSM, so there was a lot to prove going into today’s opener. Unfortunately for TSM, though, it wasn’t even close. They’ll have a chance to redeem themselves tomorrow against FlyQuest, but for now, their demoralizing loss against Liquid will be fresh on fans’ minds. The slaughter started right away. Even though Mike Yeung secured some early dragons and got momentum on TSM’s side, Liquid rotated early and maintained their aggression until TSM were pressured out of the game. After the massive dive at 15 minutes in which Doublelift secured a double kill, TSM were already pushed into retreat mode, where they would have to turtle around their base and scrap together picks to claw their way back. Thanks to the team of veterans on Liquid, though, TSM never got that chance. 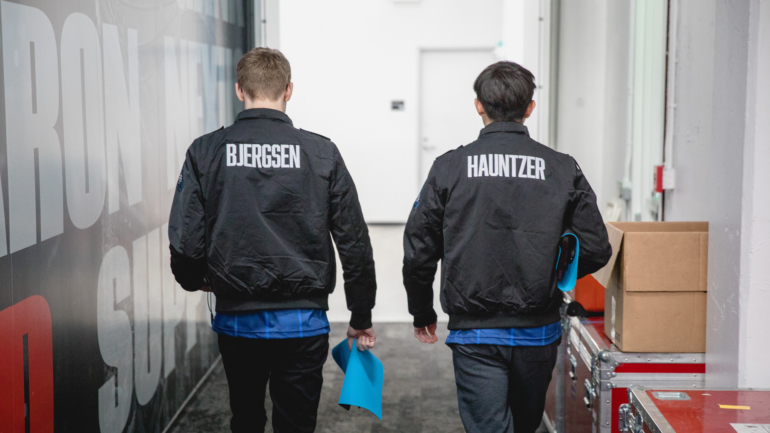 Liquid’s win conditions against TSM relied on Jung “Impact” Eon-yeong maintaining a slow but steady gold lead over Kevin “Hauntzer” Yarnell until he could join teamfights and take out carries with a single barrel as Gangplank. Although 2017 was one of the worst seasons of Impact’s career, he started 2018 on a strong foot with a glimpse of the 2016 “Top Die Impact,” when he was famous for his stellar communication and ability to outplay one-vs-two ganks from his post in the top lane. Impact wasn’t the only one popping off, though. Doublelift’s lane dominance over TSM’s Jesper “Zven” Svenningsen and Alfonso “mithy” Aguirre Rodríguez was crucial to Liquid’s win. Zven and mithy have long been known as the “best in the West,” and they replaced Doublelift. So in order to get his warpath kicked off right, he first has to prove that TSM downgraded by replacing him. We can’t say for sure after just one game, but Doublelift definitely made a strong case in his favor. Liquid plays against OpTic Gaming tomorrow for a chance to advance to a clean 2-0 record.